I’m getting ready to head out of town for the Thanksgiving holiday. The wood floors got installed throughout our house and I’ve got boxes of stuff to put away, give away etc. But it all can wait. Because it’s family time. I haven’t been able to get back home because of my yoga training commitment and I’m so happy to finally spend some quality time with my parents. My mom loves doing a beautiful table and we have so much fun working on a ‘vision’ for it together. This past week we’ve been scouring the thrift stores for some good old brass candlesticks for this year’s theme. I scored all these for under twenty bucks. Heavy too, and no shine. Orange and deep red flowers. White tablecloths. Black napkins. And lots of gold—via the brass candlesticks down the center of the table. If we don’t use pomegranates for the place cards we’ll use white pumpkins filled with orange roses. Probably lay some fresh greenery down the table with a few persimmons for color. Adding fruit or vegetables is an easy way to add color and texture. How about you, are you still looking for a few ideas for your own table? White pumpkins grouped next to flowers make a simple yet lovely centerpiece. If I had more time I’d love to make these black chalk chargers with a personal message. Look HERE to see how easy these are to make. Visit the vegetable section of your grocery store. Last year we used lots of real leaves that we pressed. And gold from a spray can---another easy possibly for maximum impact. You can also use the gold sprayed pinecones for your place cards. Then add some white candles and you’re all set. Oh, and if you’re interested in learning how to incorporate flowers into real pumpkins here’s a great video of some ideas. Whatever you decide, I do hope you’re able to slow down and enjoy the process. All the little moments. And of course, the craziness too. And I wish you a wonderful holiday surrounded by people you love. These are all beautiful and fabulous tips. Have a very special Thanksgiving. Beautiful inspiration photos, Leslie! I hope you have a love Thanksgiving with your family! Beautiful photos and inspiring ideas. I've missed you...I've sort of been out of sorts lately. Guess it's the holiday season with a fractured family. :( I know you're enjoying visiting with your parents! I hope you have a blessed and very Happy Thanksgiving! I'm sure your table will be gorgeous with all the thought that's gone into planning it, Leslie. We're not hosting Thanksgiving, but your ideas would work for many occasions. Thanks for sharing and have a wonderful Thanksgiving surrounded by your family! Yes, beautiful inspiration photos! Happy Thanksgiving! How special to create a Thanksgiving table with your mom. I know it will be gorgeous. I'm still in the planning stage here. Just four of us, so things will be simple. Thanks for the inspiration. Happy Thanksgiving and safe travels. We're starting early with our Austin family visiting to celebrate Thanksgiving as well as our granddaughter's 5th birthday. Love these memories we're creating this week. 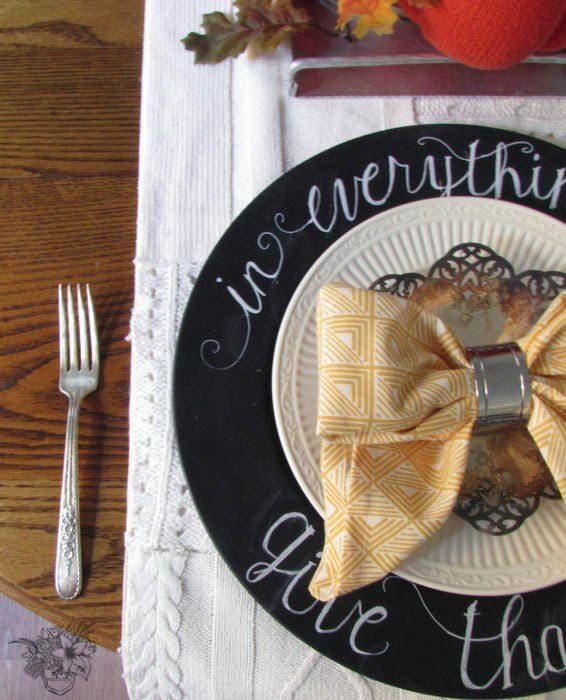 You are the queen of tablescapes (I still have bookmarked some you did for Easter). Hope you are able to unwind and relax with your family Leslie. I always have ideas. Then reality hits and we barely get the table set to eat. I have to use the dining room table to do all the cooking prep so we can't preset the table. But it never ends up mattering one little bit. That doesn't mean that I'm not completely inspired by the beautiful tables. I just wonder where the food goes. I assume on a sideboard? Have a wonderful Thanksgiving, Leslie! happy thanksgiving, leslie. we will be celebrating at my sister's in chicago. it will be wonderful to be away from the projects at home, and i cannot imagine roasting a turkey here anytime soon! have a wonderful holiday, and thanks for all this inspiration for forthcoming novembers! peace to you. I hope you had a wonderful Thanksgiving Leslie and managed to relax after all your hard work, although I bet you have got better at chilling since your yoga training. Your table setting ideas are always so gorgeous.